We at My TechDecisions understand that writing RFPs is a critical component of your job but also one of the most dreaded. That is why over the past year, we have created a series of guides to help define your needs and then actually write the RFP. 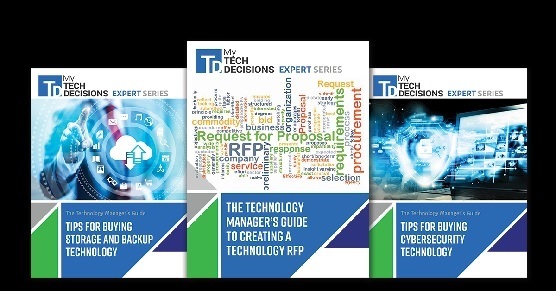 We hope the resources below will make your next RFP project a little bit easier. Click on any of these technology topics to jump to the specific RFP content you need: Access Control, Audio, Building Control & Automation, Campus Safety, Cloud Email, Collaboration, Communication, Cybersecurity, Digital Signage, Energy Management, IT Hardware, Interactive Whiteboards, Networking, Projectors, Storage & Backup, Videoconferencing, Video Surveillance, Video Walls and VoIP. Download this FREE Report to learn how to purchase the perfect access control technology for your organization at the best price. You’ll also learn what information you should include in the RFP to ensure your needs are met and budget doesn’t blow up. Writing a request for proposal (RFP) really shouldn’t be so hard. Our new guide walks you through the basics of acoustics and audio components and also provides 30 essential questions to address when writing an audio request for proposal. 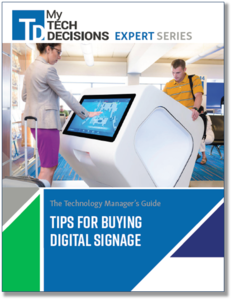 This FREE guide wil show you how to purchase the perfect control & automation technology for your organization at the best price. Download this FREE guide to learn how to write a campus safety technology RFP, choose campus safety technology partners and implement campus safety technology. Plus, find out the 7 key questions to ask when you sit down to write your campus safety technology RFP. 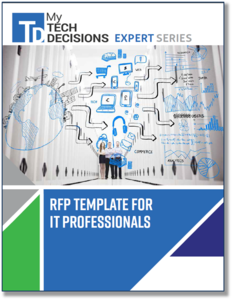 Discover what functions to include in an RFP by downloading this FREE guide. You’ll also learn about popular providers and the pros and cons that adopters have found. Have you been tasked with finding a new collaboration solution for your organization? Let our editors help. Get our new guide “RFP Template: Collaboration”. Download this FREE guide to learn how to talk to the decision makers in your organization, in particular the ones outside of the IT department, and explain why a (sometimes costly) cybersecturity upgrade is necessary—AND how it reduces their risk and saves them money. This FREE guide contains all the information you need to write an effective energy management technology RFP, choose energy management technology partners and implement energy management technology. Plus, some unexpected (but welcome) benefits of becoming energy efficient. This FREE guide outlines how to write an interactive whiteboard RFP, choose interactive whiteboard partners and implement interactive whiteboard technology. Plus, it reviews the two main types of interactive whiteboards and shows you how to determine which one is right for your organization. Discover the important factors to consider when purchasing a projector, including: on-network and off-network projectors, the typical lamp life of a projector, and where to install and place your projector in this FREE guide. You need to back up all your data, all the time, right? Wrong! Find out what you need to back up, when, and why. And learn how to purchase the perfect storage and backup technology for your organization at the best price with this FREE guide. Make the RFP process a little easier. Our videoconferencing RFP template tells you what questions to ask when developing an effective request for proposal. Access this FREE guide to learn how to write a surveillance technology RFP, choose surveillance technology partners and implement surveillance technology. Plus tips for buying surveillance technology! 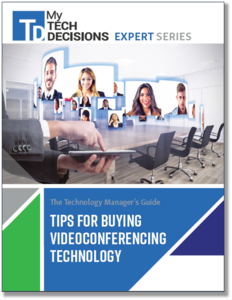 Getting buy-in from key stakeholders revolves around which is the more important consideration: cost savings or added functions, such as video/collaboration services. Download this FREE guide to learn the essential items to include in your RFP and how to test your installed system.